encrypt the system disk and the backup disks, but store the system unlock information unencrypted on the server so you do not have to enter decryption information every time. 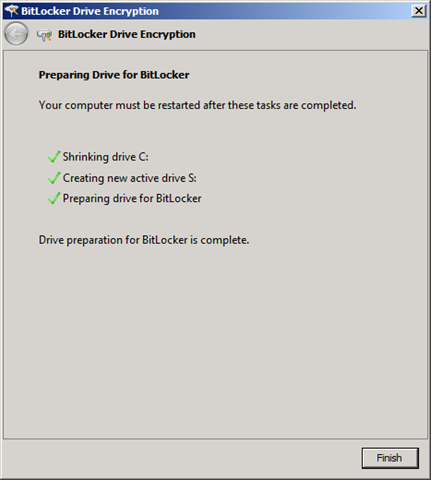 You will need to repeat the steps below (excluding adding Bitlocker to the system) for each disk you want to encrypt. You can do this to an existing disk or a new disk. 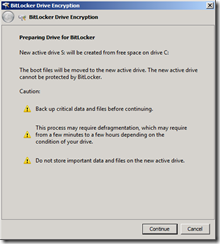 To be able to easily BitLocker the drive we need to add a drive letter. 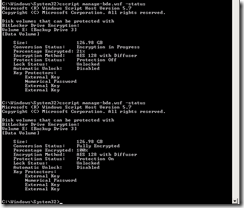 Run the command diskmgmt.msc to start the Disk Management tool. 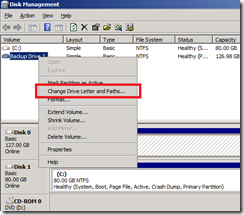 Find the Backup disk and right click on it and select Change Drive Letter and Paths. 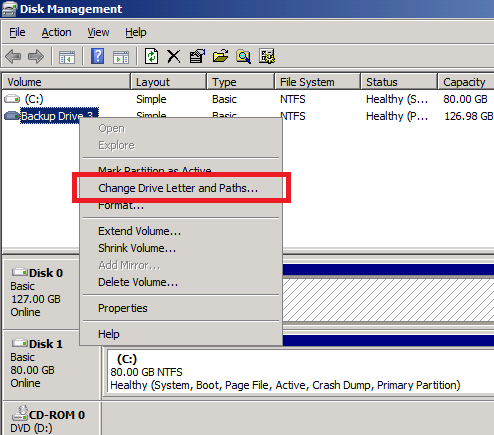 You will notice that the disk, which present and used does not have a drive letter, so we need to change this. Press the Add button to add a drive letter that we can easily refer to in the command lines. 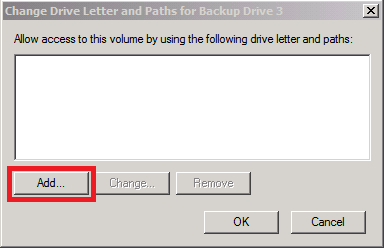 Pick the next available drive letter and press OK. 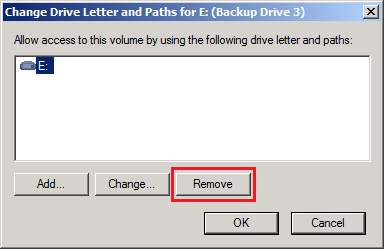 In my example the drive letter is "E:". In all the command lines below replace E: with the right drive letter for your system. 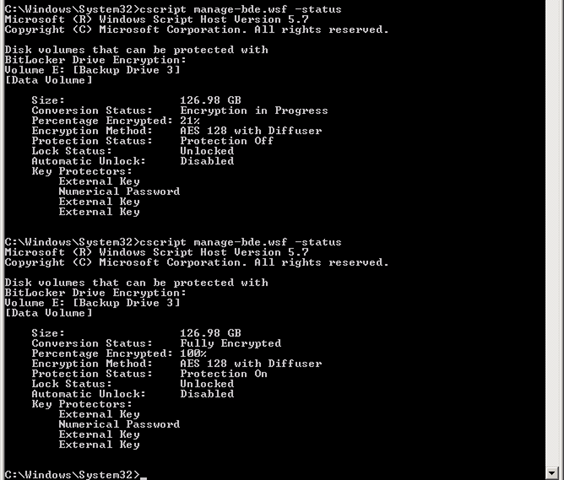 Open and administrative Command Prompt from the start menu and check the title bar says Administrator Command Prompt. 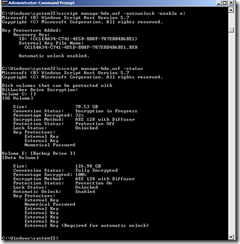 Check that the disk is ready for encrypting with the command script manage-bde.wsf -status. Note this has to be run from \Windows\System32. Time to encrypt the disk and save the recovery keys. I'm going to save them to C:, but they can be saved to any disk in the system except the one being encrypted. 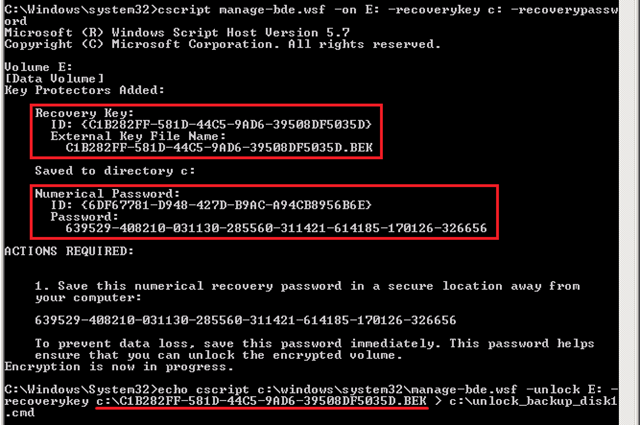 Type script manage-bde.wsf -on E: -recoverykey C: -recoverypassword. You will see several pieces of information including the disk ID, the file name for the recovery key file and the numeric password should you not have these to hand. You will need to make a note of this information, but do NOT store with the drive. To create an unlock command, enter the command below replacing <recovery key file> with the filename from your output. The filename for the command in my example is c:\unlock_backup_disk3.cmd and you should change it to be appropriate to your system. The disk will now begin encrypting and depending on how much data is stored on it, may take some time. You can check the status with the command cscript c:\windows\system32\manage-bde.wsf -status as shows in the screen shot until the disk is 100% encrypted. 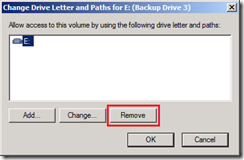 If you intend on encrypting the system disk then you can remove the drive letter. 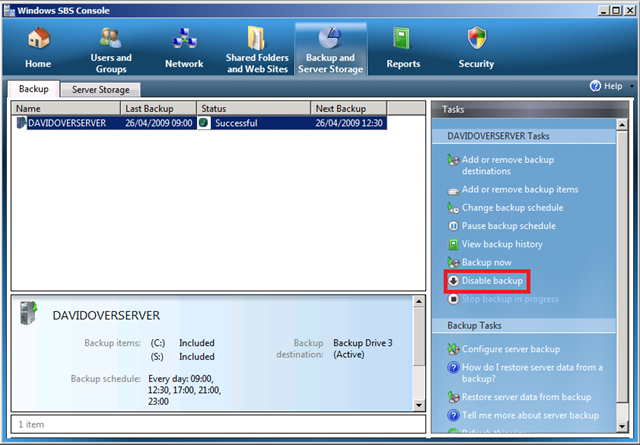 The backup will still work if the drive has a drive letter, but it will now show up in the SBS Console and Computer windows, but should not be modified in any way. 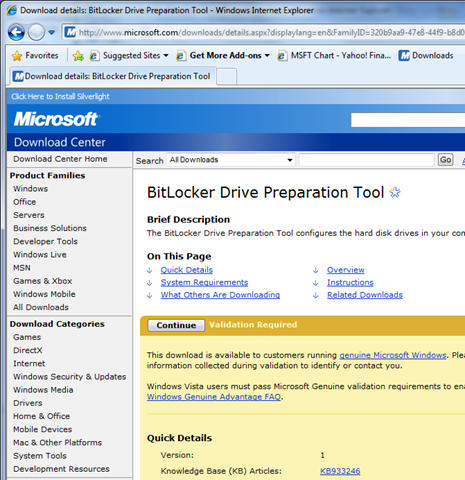 Download preparation tool from Microsoft at http://www.microsoft.com/downloads/details.aspx?displaylang=en&FamilyID=320b9aa9-47e8-44f9-b8d0-4d7d6a75add0 and then install the tool. 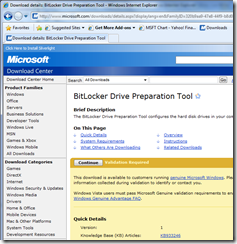 Start the tool from the Start Menu - it is under Accessories, System Tools, BitLocker and is called BitLocker Drive Preparation Tool. As is always the case when making major changes to a system ensure you have a backup of the system. Press Continue to start the tool. The tool will shrink your system drive and create a small S: drive which will contain the boot files. Once it is complete, press Finish. You will need to restart your computer to continue the preparation. Press Restart Now to do so. Once you have rebooted and logged back in the tool will continue. Once it is finished, press Close to exit the tool. 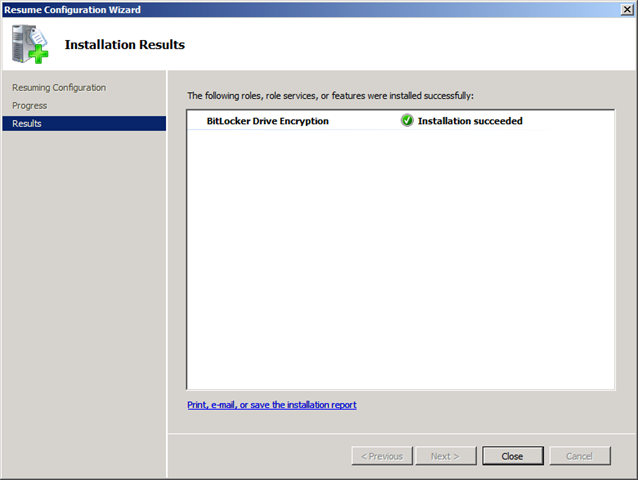 Your drives are now prepared to be encrypted. 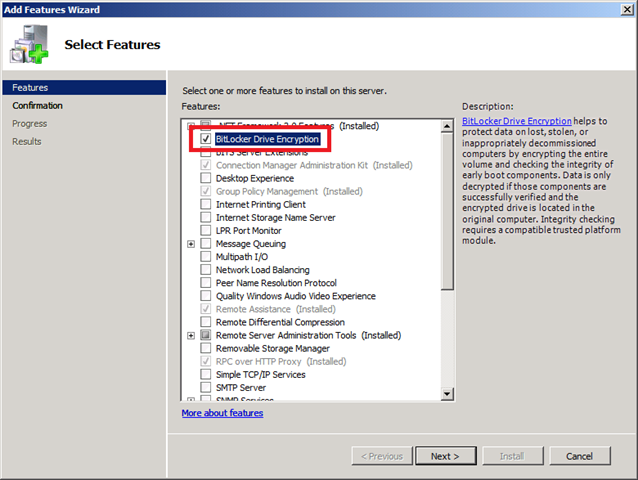 To encrypt the system disk enter the command below. 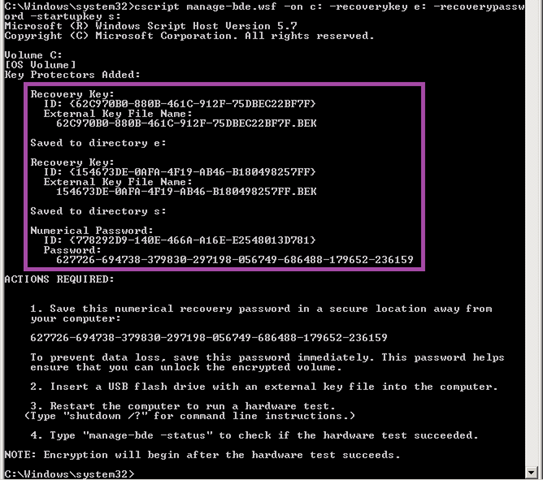 I put a recovery key on the backup disk (which is encrypted) and also onto another disk to enable system start up. For the system to start up it will need an unencrypted file system with the startup key present. You can either chose to put this onto the S: drive which is less secure as removing the boot disk will provide someone with all the encryption keys or if you wish for your system to be more secure you can put this onto a removable USB drive. If your only desire was to encrypt the backups and have them automatically available when plugged into the server then this is fine. If you want greater overall security then you should use the removable key method. Note that to reboot the server this will be required, so automatic updates could cause a problem. Leaving this removable media in the system means that any would-be thief would still have the decryption means. E: is the removable media I'm backing the key up to and S: is the system disk. Change S: to the startup usb key you will user to reboot the system with greater security. Once again, mate a note of the key security information highlighted in the screen shot. 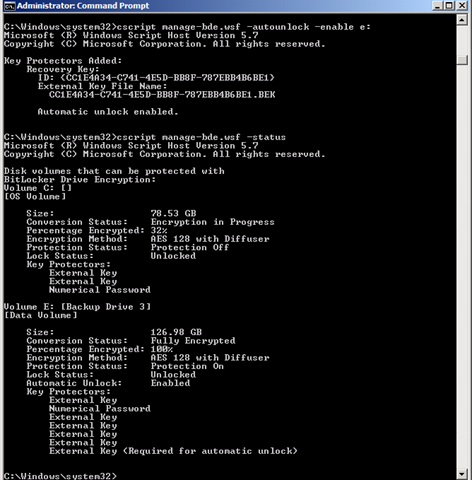 You can once again see the progress being made by the encryption by using the cscript manage-bde.wsf -status command. 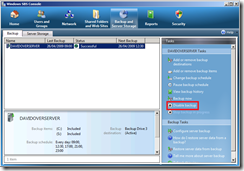 Finally, your SBS backup will no longer function correctly as the S: drive is not included in the backup set, but is a crucial part of the system backup. 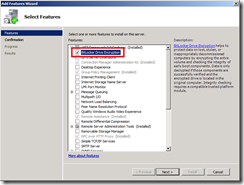 You will need to Disable Backup and re-create it before the backup will work again. When you are re-creating the backup, when selecting the target device it will claim it is going to format the backup target, but for me it did not and previous backups were still available. This whole process took a while as I had in total about 100GB to encrypt, between the system disk and backups, but I now have secure backups. Any information available on restoration procedures? If only the backups are encrypted so offsite copies are protected, what is the procedure to access the backup in the event of a total system failure requiring a full restore? 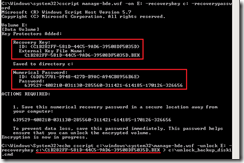 Can the recovery console access a BitLocker encrypted partition? Thanks for a great writeup on the backup options. I've never tried to find out - bad me. I'll see what I can do over the next week to experiment. 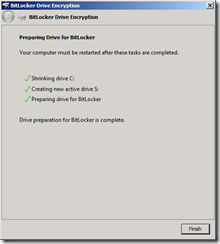 Can the recovery console access a BitLocker encrypted partition? Awesome write up. I spent all afternoon trying to figure this out. Your site held the key. 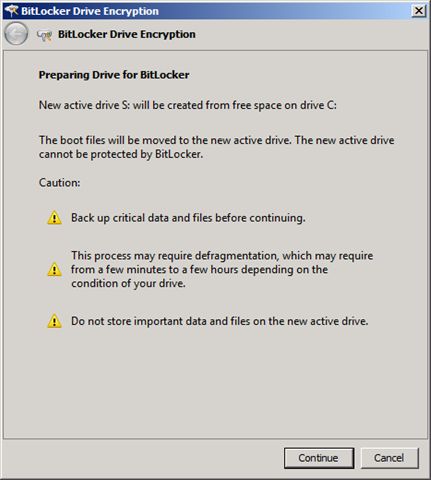 Long Story Short: After you enable BitLocker, you have to run manage-bde.wsf to create the encrypted partitions. Enlighting piece of experience shared there. 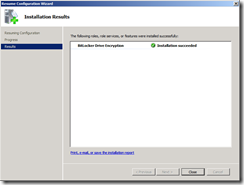 Have you ever came to the point of trying a bare metal restore from encrypted disks? I really wonder how that went. 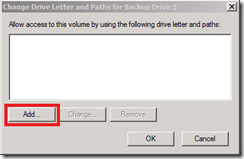 i have tried this method which seems to work with a drive letter, however in sbs2011 when you create a backup to disk it removes the drive letter. does anyone have any input on how to make this function with no drive letter?